Serial killer Robert Evans emerged in a video clip released Tuesday as a deep-voiced man speaking calmly to California detectives as they question him about the death of his common-law wife, the only murder he was ever convicted of. Evans, who was being questioned in the 2002 murder, rambles at times. He quotes the Bible. At the end of the video, Evans tells a detective that the woman, Eunsoon Jun, is not as aggressive as she used to be. “What else can I say? I don’t chase younger women. It’s just something that happened,” he said. The National Center for Missing and Exploited Children distributed the 2-minute, 40-second video to news outlets on Tuesday. Evans, who died in prison in California in 2010, lived in New Hampshire in the late 1970s. He was last seen here with his girlfriend, Denise Beaudin, and her 6-month-old daughter in 1981. Beaudin has not been seen since. He is believed to have killed a young woman and three girls whose unidentified remains were found in Allenstown in the vicinity of Bear Brook State Park — two in 1985 and two in 2000. He fathered one of the girls. Evans moved throughout the United States and went by several aliases, including Larry Vanner, the name of the man convicted of Jun’s 2002 murder. But much of his life, even his correct age, remains a mystery. 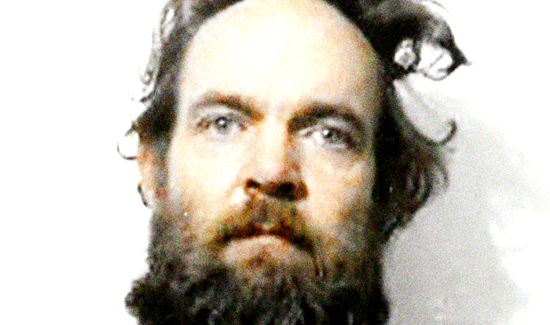 He was arrested in California in 1989 for abandoning Beaudin’s daughter, who had been living with him at a campground. He was released from prison in 1990. Early this year, authorities used DNA to link Evans to one of the Allenstown victims. Many details remain unsolved, including the identities of the Allenstown victims; Beaudin’s likely demise; the whereabouts and identity of the woman who bore Evans’ daughter. Carol Schweitzer, supervisor of the forensic services unit at the National Center for Missing and Exploited Children, said New Hampshire State Police obtained the video from the Contra Costa Sheriff, and provided it for release. It is edited to highlight Evans’ voice and mannerisms. “We’re hoping that this triggers people’s memories,” Schweitzer said.